Following a September 30 status conference, the first Benicar multidistrict litigation lawsuit has been scheduled for trial in late 2016, reports the New Jersey Law Journal. 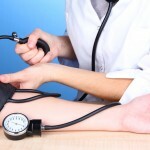 In a piece in the Huffington Post, Janet Bond Brill, Ph.D., lists foods that might help combat high blood pressure. 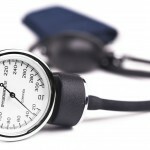 Brill describes high blood pressure, also known as hypertension, as a “silent killer” that’s reached epidemic proportions in the United States. 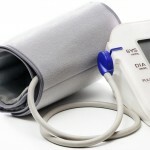 ABC 30 out of Fresno, Calif., reports on a clinical trial for a new blood pressure treatment called Renal Denervation. The proposed treatment would target overactive renal nerves, which can cause blood pressure to skyrocket. Renal nerves transmit information from the kidneys to the brain. In Renal Denervation, doctors insert a needle into an artery in the groin near the kidneys and burn the nerves. A new study shows the use of the anti-coagulant known as Pradaxa is associated with a significant increase in the risk of gastrointestinal bleeding. The increased risk is compared to traditional or standard treatment with drugs such as enoxaparin, warfarin, antiplatelet therapy, or no therapy (placebo). 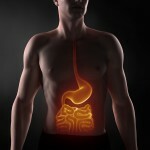 Reports linking the blood pressure medication Benicar to intestinal problems were a hot topic of conversation at this year’s Digestive Disease Week meeting — considered the largest and most prestigious meeting in the world for the gastrointestinal professionals. In the JAMA column, retired but respected physician Iona Heath argues that mild high blood pressure is over-treated, and that medical professionals should raise the blood pressure rate at which they begin prescribing medication.